Though prosecutors withheld specific details of Flynn’s cooperation because of ongoing investigations, their filing nonetheless underscores the breadth of how much information Mueller has obtained from people close to Trump as the president increasingly vents his anger at the probe — and those who cooperate with it. Do Michael Flynn’s indiscretions add up to treason? It’s unclear if Trump will now turn his fury on Flynn, a retired U.S. Army lieutenant general whom Trump grew close to during the 2016 campaign and tried to protect by asking former FBI Director James Comey to let the investigation go. That episode is among those under scrutiny by Mueller as he probes whether Trump attempted to obstruct the Russia investigation. Flynn’s case has been a contrast to those of other Trump associates, who have aggressively criticized and tried to undermine the Russia probe. Most notably, Trump’s former campaign chairman, Paul Manafort, aggressively fought the investigation and is now facing the possibility of a lengthy prison sentence after his cooperation agreement recently fell apart over allegations that he had lied to investigators. Stone has also waged a public campaign against Mueller. 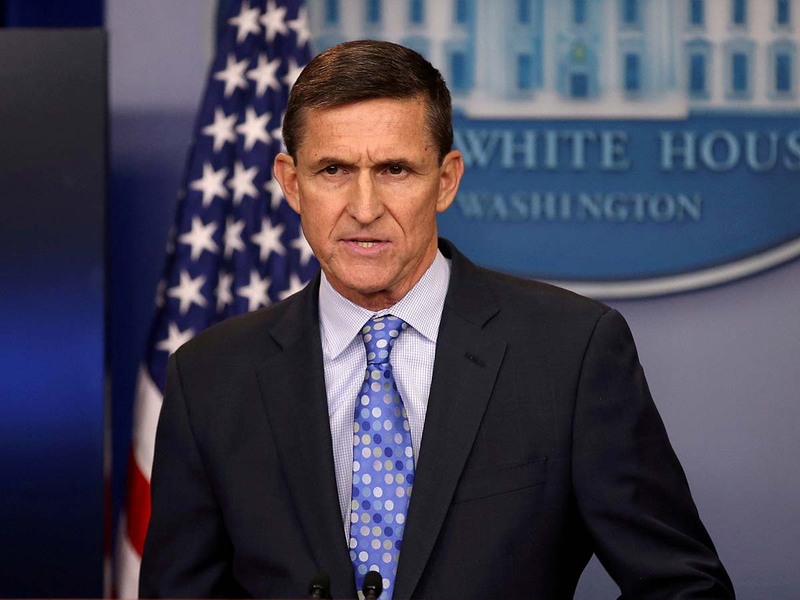 Flynn was forced to resign his post on Feb. 13, 2017, after news reports revealed that Obama administration officials had warned the Trump White House about Flynn’s false statements. The White House has said Flynn misled officials- including Vice President Mike Pence — about the content of his conversations.